To help in controlling the pet population in our area, Dr. Minton deducts $100.00 from the cost of spays and neuters performed here at Crossroads Animal Clinic. Please call us today to discuss setting up an appointment to have your pet spayed or neutered as soon as possible. Click here for our special New Client Offer. 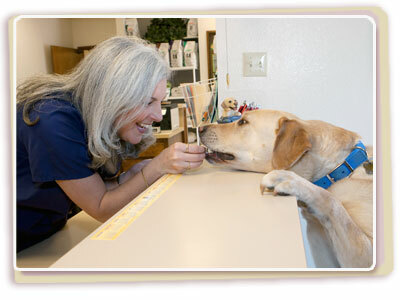 Book your pet's dental appointment within 30 days of receiving a treatment plan (estimate) from us, and receive 20% off both the procedure and the blood work!